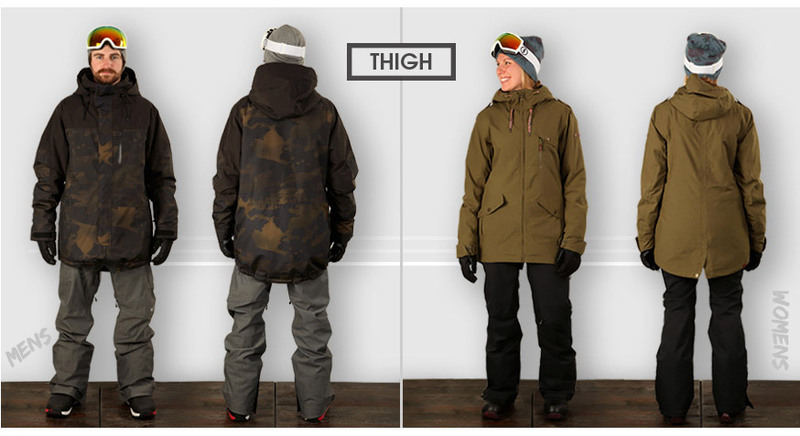 At evo, we know the importance of outerwear that keeps you warm and dry, looks good, and feels great. To feel great, it must fit well. Good fitting outerwear means outerwear that fits your body type, your use, and your style. All three of these should be taken into consideration when determining which fit is best for you. With so many outerwear brands available, and each with its own set of fits, it can be difficult to know how a jacket or pant actually fits. What one brand calls "athletic" another brand may call "baggy". You may also know or have heard of certain brands having a reputation for a tighter or a looser fit. Keep in mind that all brands change and evolve, and although some brands do tend to fit a certain way, that same brand may make a range of fits from very slim to very loose. Don't worry; we have standardized fit across the board, making it easy for you to get the right fit. 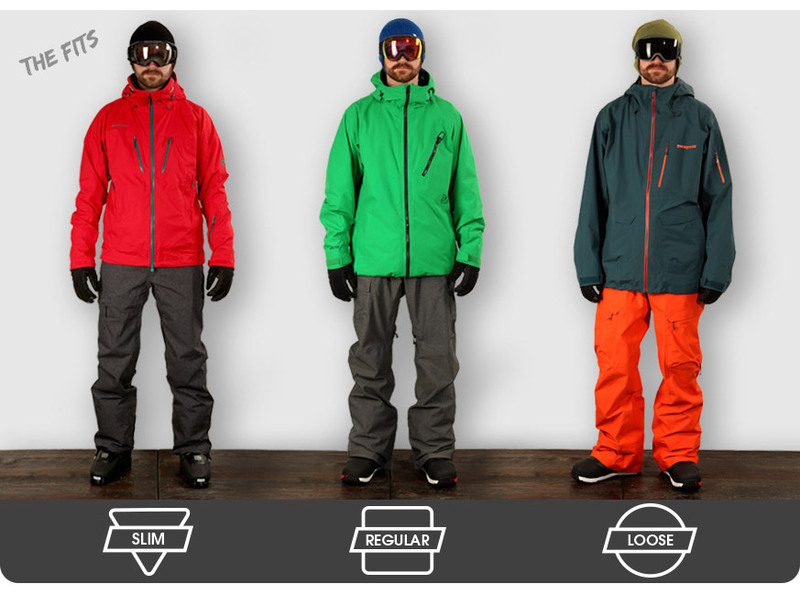 We break outerwear fit into three basic fits: Slim Fit, Regular Fit, and Loose Fit. 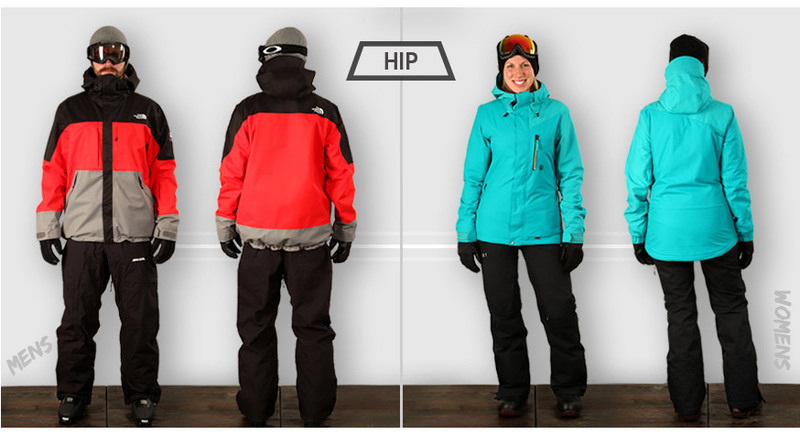 Outerwear is much more streamlined, promoting a wide range of motion (perfect for touring or pole-whacking). Jackets fit much closer to the body (sometimes limiting your layers) and have a more tailored or fitted profile, often with a waist-length cut. Pants are slimmer through the thigh and knee and won't go much below the ankle when standing up straight. Recent styles have begun to trend towards a slimmer leg through the knee, then flaring towards the ankle to accommodate boots. This tighter fit, sometimes referred to as "alpinist," has a more minimalist look and feel that's grown more and more popular in the techy or fashion forward circles of our sports. 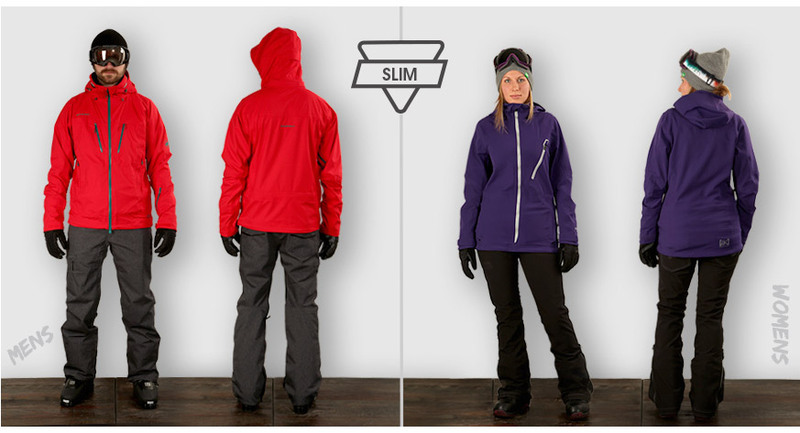 You'll also find many of today's softshells and technical layers tend to be an alpine fit. Slimmer profile shredders should definitely check out some slim fitting options. 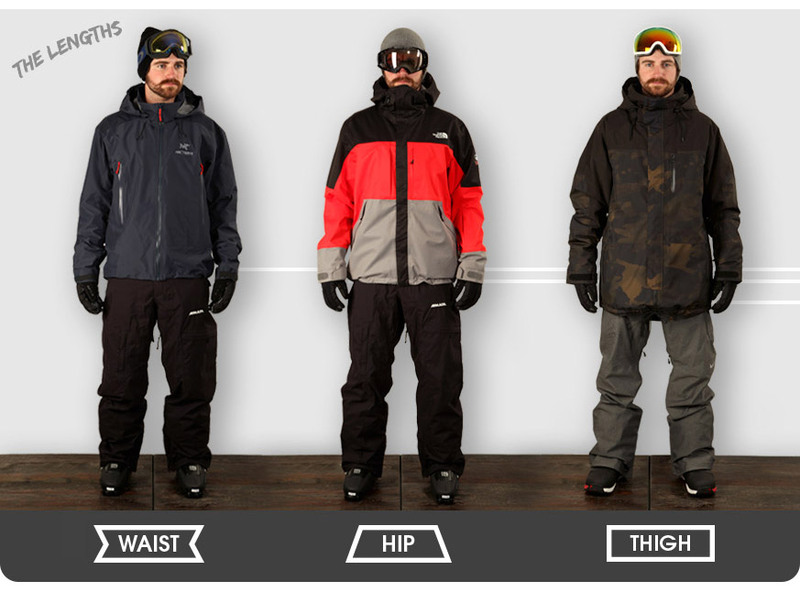 Outerwear will have plenty of room for layering but won't look like a yeti when not wearing many layers underneath. Jackets will typically have a standard length that doesn't pull up past your waist line when you raise your arms, with sleeves that stay extended to your wrists when you bend your arms, but won't go too far past your hands when your arms are straight. Pants will have a standard inseam with a cut that's straight through the leg. 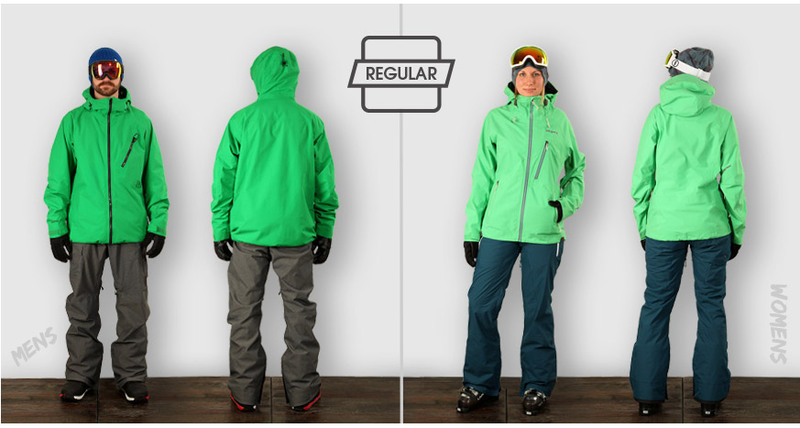 Outerwear will have extra room all over with enough coverage no matter how you twist or move. Jackets will have more room throughout the body and sleeves, and tend to be longer when compared to a regular or traditional fit - think sweatshirt vs. sweater. Pants are going to be relaxed at the waist and much roomier throughout the thigh, knee, and cuff. 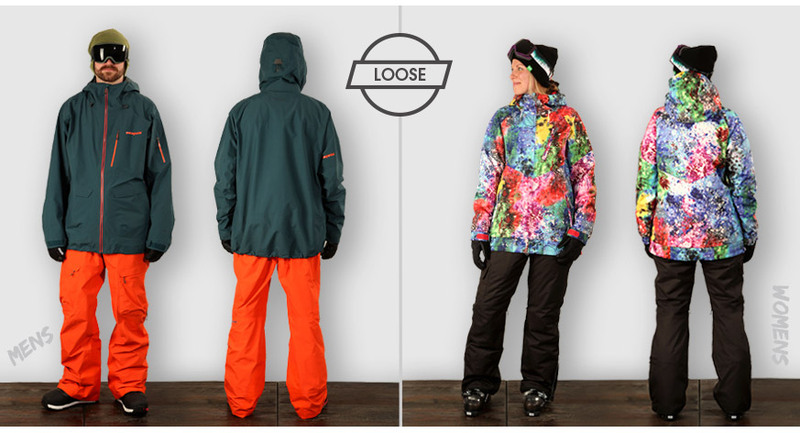 This style has become popular among park skiers and snowboarders who want a baggy look more than they care about the actual fit. Brands are now designing lines just for them. Also, brands that were known as more traditional in the past, now make fits that appeal to a newer generation seeking a more progressive fit. 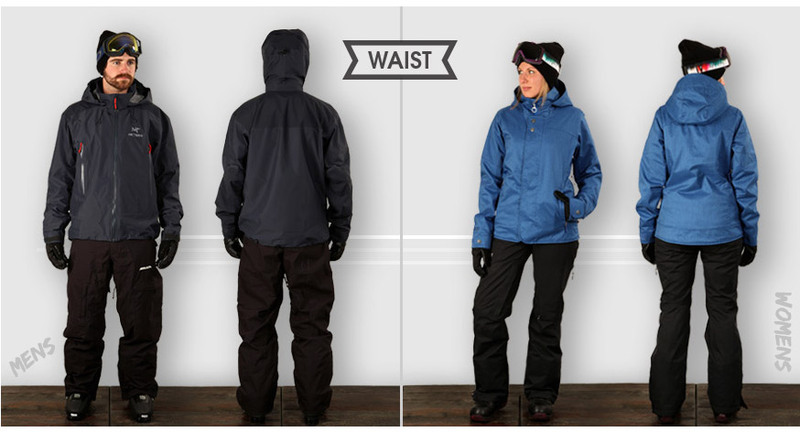 In addition to Regular, Loose, and Slim fit, we also classify jackets as Waist-length, Hip-length, and Thigh-length. Think of these as Short, Regular, and Long, respectively. These are to point out jackets with length that might not always go with the fit. For example, a jacket may be of regular fit but with additional length. Length is an important spec to consider when shopping for jackets as some body types require a jacket that is short and wide and others, one that is long and slim. We break jacket length into three standard lengths: Waist Length, Hip Length, and Thigh Length.